You’re not Meditating if you’re using an APP! When someone says to me that they meditate, I feel inspired by them and humbled that they can include this ancient discipline from the East into their lives. I do however, get pretty annoyed when they say “Yh, I’ve got this great app that I use.” If you are TRULY meditating, you don’t use technology!!! I know in the West the concept of meditation – and I mean true meditation – can be difficult to understand. It is terribly hard for us to switch off from our lives let alone technology which is all around us but there are ways you can do this and truly feel the benefits as you should. Meditating whilst radiation surrounds you doesn’t quite make sense if you get my drift? The point of meditation is to be in silence and at peace with your self. It is a way for your mind and body to relax and connect to its spirit. It’s a way of aligning your self, being grateful and setting you up for your day ahead and ends your day in peace. It helps set your intentions for the day, gives to you and respects all that your body has to endure in your ‘normal’ day. In my Coaching practice, I encourage ALL my clients to meditate – whether they believe in it or not – and I have a 100% success rate. Why? Because I make it make sense to them and their lives. I’m Indian by heritage and we learn to mediate naturally from an early age because of religious ceremonies (similar to mass) so usually, we can do it quite easily and know the benefits. Regular meditation of course gets harder because of our busy city lives and we have to retrain ourselves again to do it. 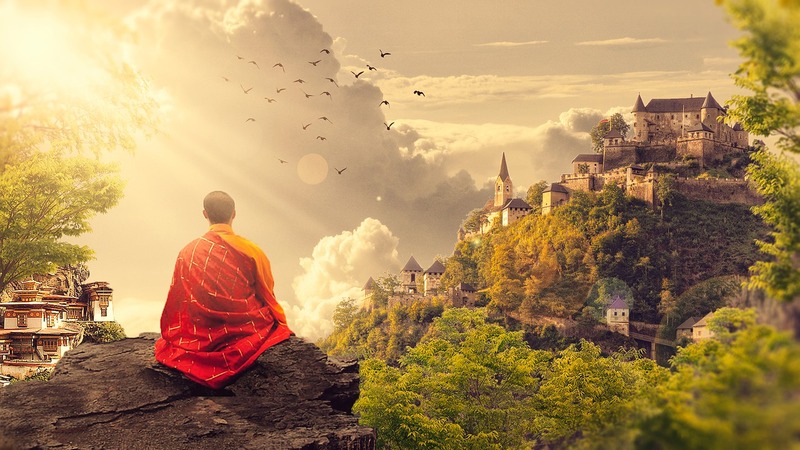 With my clients – especially those without a connection to religion/spirituality/faith – I give them a few exercises to try which gets them meditating in no time. And the major take-home from this? How easy they find it to incorporate meditation into their days without compromising time or finding the right app or youtube channel [rolls eyes]. Here’s one technique. Go outside, find a park or a bench, somewhere relatively quiet but not silent. Find somewhere to sit (the floor or a bench is fine) where you can be comfortable. Look around you. Acknowledge the sounds and smells. Even if you’re in a park and there are kids around, be aware of them and then start ignoring them. To do this, focus on a particular tree, area of grass, bird, squirrel (anything that you can see that is relatively still so you can stare at it.) And then start looking at it. I’m going to use a tree for this example. Choose the tree and start focussing all your attention on it. For a few minutes, you’ll still be able to hear the din around you but soon you won’t. Look at the tree’s trunk, the bark, the leaves, the branches. Acknowledge the textures of the bark, the colours of the leaves, the veins if you’re close enough. Imagine how old the tree is, what type of tree it is, how many birds live in the tree. You’ll soon notice that your breathing has slowed down and you can’t hear the background sounds around you (or as much.) Keep focussing on the tree, don’t look anywhere else, don’t acknowledge any new sounds, just look at the tree. Think about the tree and the fact that without it, you wouldn’t be able to breathe. Appreciate the tree, its strength through all weather, its resilience, its stature. And then focus in on your breath. Close your eyes and with the thought of that tree, breathe in and out repeatedly until you feel a calming rhythm. Your thoughts should be clear by now and if they aren’t, either open your eyes and focus back on the tree or keep your eyes closed and see the tree again. After a few minutes of being in this state – YOU’RE MEDITATING! Your mind will be rested and your body will follow suit. Let your hands be relaxed, almost like jelly. Relax your legs and your posture so that you are comfortable. And just stay in that feeling for as long as possible (without looking at your phone or watch.) Just feel it. Clients can then practice this technique with anything at anytime and tweak it how they wish. Simples. I have other techniques I offer clients dependant on where they are with their meditation practice but this one is great for beginners without any spiritual connection. Although apps can be helpful if you’re starting out, the continued use and reliance on them contradicts what meditation is and its benefits. Create space to reduce stress in everyday life!